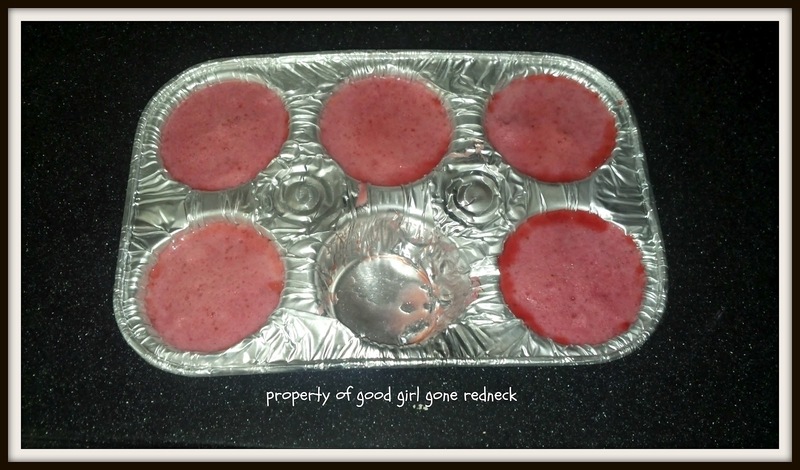 Good Girl Gone Redneck: Muffin Tin Ices! Or smoothies. I'm not quite sure what these qualify as. We made smoothies this morning with some fresh strawberries from a U-pick place nearby. But the kiddo's idea for smoothie ingredients was a definite fail. She just wanted to have strawberries, but no yogurt. I knew it wouldn't work, but I let her make them anyway. We added ice (of course - a must!) and I tossed in some milk. When she didn't finish hers and I tasted the extra and noticed it was quite, uh, meh - shall we say? - I tossed them together, gave them a mix, popped them into a muffin tin and put them in the freezer. I showed them to her earlier and she was all too eager to test them out. She's happy, as apparently frozen slushie-drops are delicious. They seem kind of like an Italian ice (the ones in the yellow cups that we used to buy and scrape the sugary bottom off with a little wooden stick/spoon - do you remember those, too? 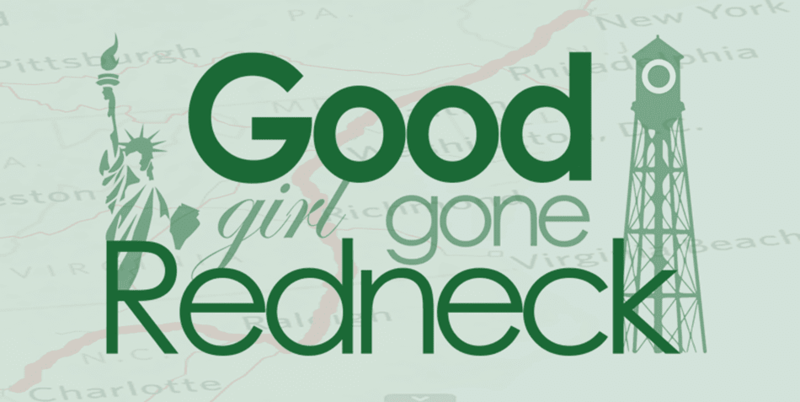 ), but less sweet. I may have to try one myself. She suggested I "should have put pop sticks in them," which is true, and would have been smart, had I HAD any in the house. And eat them in a cup with a spoon! Enjoy, and Happy Muffin Tin Monday. Nice save! 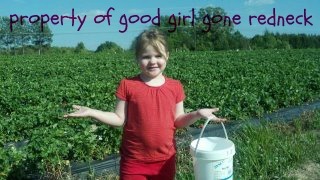 We were talking yesterday about going to pick strawberries once the weather lets up. Lisa, You took the words right out of my mouth (or fingers) nice save mama. These look like a great treat! they actually sound really good. i love italian icees.